Since I am kind of a garden nut, it is only natural that I tried to get my one and only grandchild to get interested in gardening. Sophia has her own little spot between two garages. It’s mostly a mess all the time but I did manage to get a Fairy rose, some sweet peas and a few sunflowers to survive through the spring and summer. I’m pretty sure I get more out of it than she does but I’m not giving up on her. 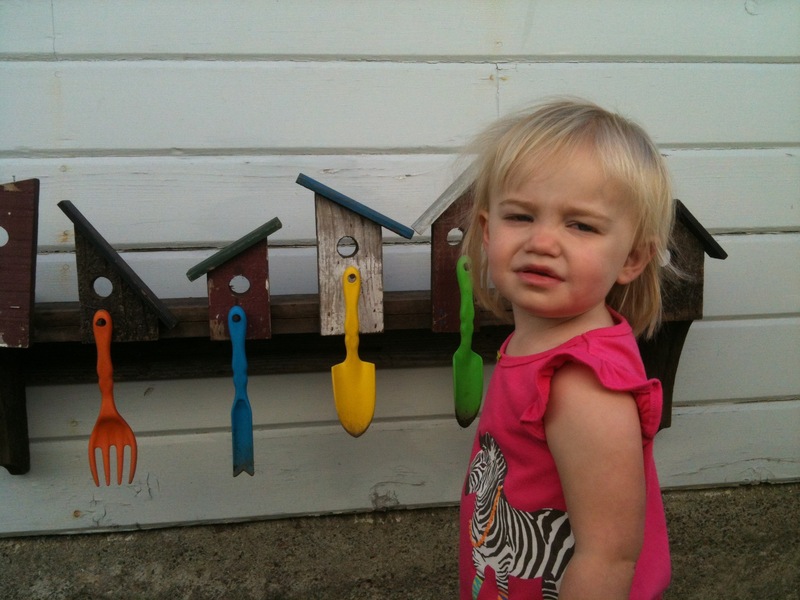 Here are a few of her favorite tools. The 5 piece indestructible plastic little hand tools have lasted 4 years outside hanging up, waiting for any emergency digging. She has had these for a couple of years and they just now fit. These are good for 5 year olds. “Ducky Gloves”. Getting all the cute little fingers in the right glove fingers is so funny. The little Lady Bug Kneeler is just her size. She mostly uses it to sit on. ____________________________________________________________________________ If this doesn’t teach patience, nothing does. 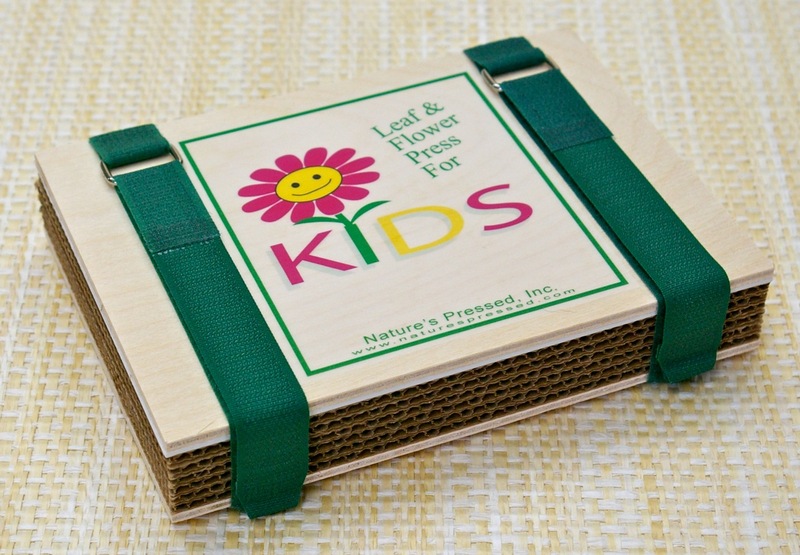 We haven’t actually tried this little Kid’s Flower Press but I think we’ll try it this spring. This entry was posted in My garden, The Tool Shed by Vickie Haushild. Bookmark the permalink.